Whether you are on “Team Jacob” or “Team Edward,” Cleveland Cinemas wants to invite you to see the first three TWILIGHT films on Thursday, November 17th before the debut of THE TWILIGHT SAGA: BREAKING DAWN PART 1 at midnight. 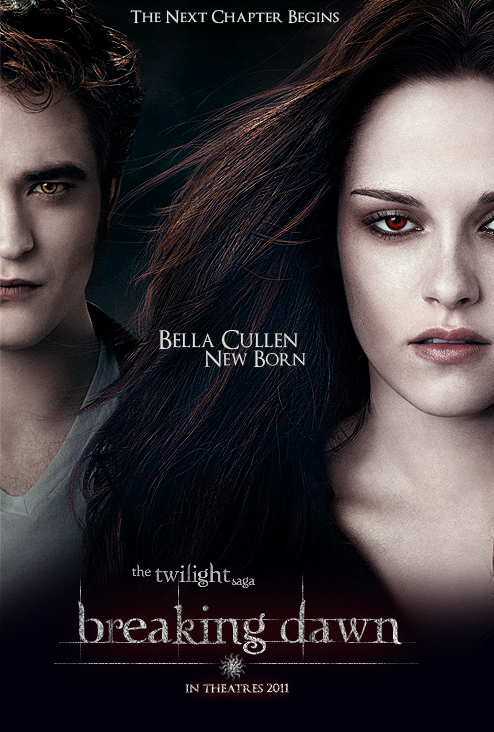 The first film in the series, TWILIGHT, will play at 4:45 PM followed by THE TWILIGHT SAGA: NEW MOON at 7:05 PM. THE TWILIGHT SAGA: ECLIPSE will play at 9:30 PM before the midnight premiere of The Twilight Saga: Breaking Dawn Part 1. The following locations will be participating in the TWILIGHT SAGA MARATHON: Capitol Theatre (1390 W. 65th St, Cleveland) and Chagrin Cinemas (8200 E. Washington St., Chagrin Falls). A special triple-feature ticket package for $12.50 is available for purchase at the theatre box offices only and includes admission to the first three TWILIGHT films. Individual movie tickets can be purchased online at www.clevelandcinemas.com or at the theatre box office. Individual ticket prices are as follows: tickets to TWILIGHT, THE TWILIGHT SAGA: NEW MOON and THE TWILIGHT SAGA: ECLIPSE are $5 if purchased separately or online. Regular admission rates apply to THE TWILIGHT SAGA: BREAKING DAWN PART 1: Adults are $9, Children under 12 and seniors over 60 are $6.00.